Landmark Studies in Kidney Transplantation. It is a pleasure for us to inform all of the members of the The Israeli Society of Nephrology and Hypertension about the newly created Young Nephrologists' Platform (YNP) of the European Renal Association – European Dialysis and Transplant Association (ERA-EDTA). We would like to invite you and all nephrologists (physicians and researches interested in nephrology) from your country to participate actively to this platform. 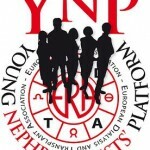 On March 12th 2012 ERA-EDTA Council brought to life the Young Nephrologists Platform (YNP).